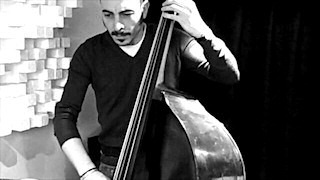 Born in Bari (Italy), Dario began studying the double bass in 2005. After few months he discovered his passion for jazz music and, over the years, he attended many workshops with great jazz masters such as Lee Konitz, Kurt Rosenwinkel, Kenny Barron, Dado Moroni, Eddie Gomez, Buster Williams, Steve Swallow. In 2010 he obtained a postgraduate Diploma in Jazz Music at the "Conservatiorio Niccolò Piccinni" in Bari. Soon after he began his professional career performing throughout Italy and playing with many of the italian's top jazz musicians. He has performed in Italy, UK and United States, sharing the stage with jazz masters such as Fabrizo Bosso, Giovanni Amato, George Garzone, Eddie Palermo, Gaetano Partipilo, Flavio Boltro, Nicola Angelucci, Renato D'Aiello, Alberto Parmegiani , Enzo Zirilli, Renato Chicco, Guido Di Leone, Roberto Gatto, Tiziana Ghiglioni, Marco Tamburini, Franco Cerri, just to name a few.